Dez's work has been inspired by his travels throughout Western Australia, drawing upon the unique characteristics of the vastly contrasting terrain and elements that are reflected in his vibrant watercolours. The paintings also display Dez's sense of humour with the famous trademark, "The Missing Bikini" and "Bluey the loyal cattle dog". Just for the record, Dez was born in Perth in 1952 and educated at John Forrest High School. In 1967 he became a junior artist at Art Photo Engravers, at the time one of the 'big three' commercial art studios in Perth. During his five year apprenticeship he also studied part time at Perth Art College, gaining his Diploma in 1972. Dez has exhibited his work at Burswood Hotel, Lyndon Gallery and various art shows around the state, receiving many awards for his work. Plus, he was artist-in-residence at the E-Shed Markets, Fremantle and was part of the Swan Valley Tourism Council's 'Taste of the Valley 2000' festival at Sandalford Wines. Dez has also had very successful solo exhibitions at Houghton Wines. 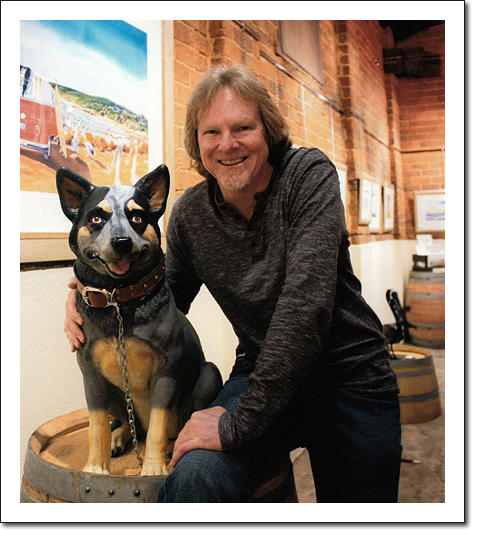 Dez now has a full time gallery at Houghton Wines.